Basenjis, the "barkless" dogs of Africa, are known for their unusual appearance and cat-like temperament. Intelligent and appealing, their alert, quizzical look and affectionate nature easily endear them to the heart. But beware! their sometimes mischievous exuberance can bring many a surprise to the unprepared! To find out more about this amazing breed, please refer to our About Basenjis page, and also this excellent documentation from Wikipedia. 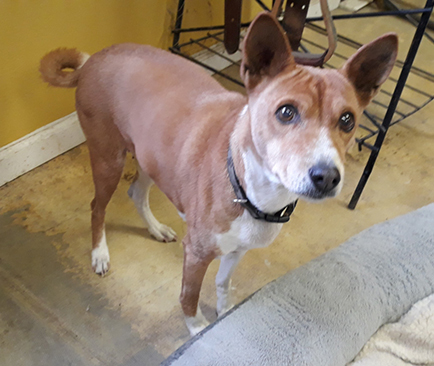 We work closely with area shelters to become aware of Basenjis needing placement into new homes, and when necessary, we arrange foster home care for Basenjis that have fallen on hard times. 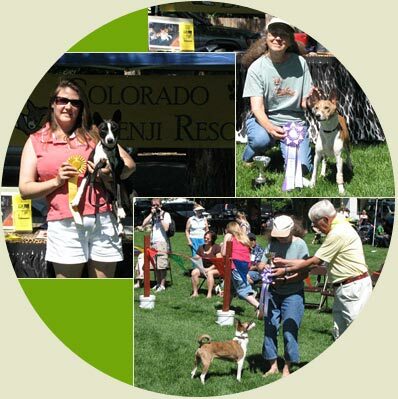 We take requests from people wishing to place their dogs in other homes, place Basenjis in qualified homes, and participate in public education activities to teach about breed characteristics and responsible pet ownership. Our organization is funded solely through the kindness of others, and donations are graciously accepted.